The British car brand MG was founded in 1924. From the very beginning, this brand was already in the books as the manufacturer of sports cars. This is because they were invariably used in racing competitions and usually managed to create nice positions there. Yet the MG did not always go for the wind, on the contrary. In the year 1980 production was stopped for a while. In the years between 1982 and 1990 the MAs were basically nothing more than simply re-labelled and not infrequently tuned Maestro's, Montego's and Metro's. 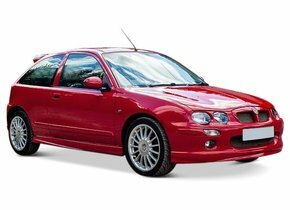 In 2005, MG's parent company went bankrupt, as a result of which the curtain on this car brand appeared to fall forever. Therefore, no one could have suspected that on 29 May 2006 the first MG TFs would roll off the band in the English Longbridge. Are you the owner of an MG car, but are you stuck in a windscreen with, for example, damage from rubble? Discover the interesting possibilities of windscreen replacement for your MG at Autoglas Concurrent! Everyone will surely agree that a damaged windscreen can be quite annoying. Unlike in particular the side and rear windows of a car, although it may be the case that damage to the windscreen in the form of an asterisk may occur, it may still obstruct the driver's vision. The fact that in case of damage an asterisk or crack occurs is caused by the fact that the windscreen is always made of laminated glass. This is a car window that consists of several glass layers in which a PVB film can be found in between. This film has an adhesive effect on both sides, which means that in the event of a breakage, the glass will not simply splash into countless pieces. This creates an additional sense of safety for both the driver and passengers. Still, a windscreen replacement of an MG may be required even in the case of an asterisk or crack in the windscreen. In some cases, an asterisk or crack in the windscreen can result in the car being rejected for the APK. This is the case when the window damage is in the driver's field of view. In that case, even a normal reflection, for example, could already cause the driver to be blinded. The fact that in this way not only the occupants of the car, but also other people can be put at risk in this way, makes it quite obvious that a rejection of the APK is actually quite obvious. Do you want to avoid such a rejection and all the annoying consequences afterwards? Then the windscreen replacement of your MG is certainly a must! 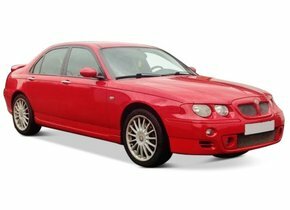 Saving on a windscreen replacement of an MG? No problem! A windscreen replacement of an MG is really necessary in some cases, but what if you don't have enough budget available? It is well known that buying a new MG windscreen can cost a lot of money. That is true, at least if you choose an original car window with a brand logo. After all, these car windows can only be sold by an authorised dealer, which results in a very strong price tag. Would you like to enjoy an equally high quality, but much more economical car window for your MG? In that case, we are happy to offer you an after-market car window. 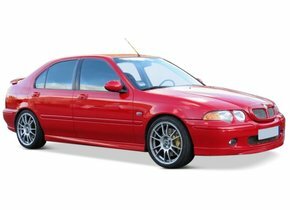 A windscreen replacement of the MG with one of Autoglas Concurrent's after-market car windows is so interesting because it is much more economical and without any loss of quality. Not only the factory in which both types of car windows are produced, but also the production lines are identical. This means that the after-market car windows of Autoglas Concurrent are produced according to the strictest European quality standards. 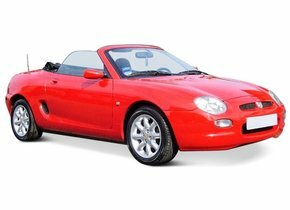 The windscreen replacement of an MG can therefore only be done in this way with the best possible price-quality ratio. Once a new MG windscreen was purchased at an advantageous price from Autoglas Concurrent, it must of course still be installed. Replacing the damaged windscreen of your MG is always done by one of our FOCWA-certified partners at Autoglas Concurrent. These are real craftsmen who can not only carry out the replacement in the best possible quality, but also in the most efficient way. This way you always enjoy a sublime end result while you can get back on the road in no time with your favorite MG car.